The state legislature had failed to require a DMV audit earlier this year, but Brown ordered one on Friday. The DMV has been plagued by long wait times and registered 23,000 voters incorrectly under the “Motor Voter” law. Brown also vetoed several bills that would have created new DMV mandates — including one allowing personalized license plates for Gold Star families who had lost a member fighting for the country, and one allowing a $5 discount for veterans — until the agency can be fixed. 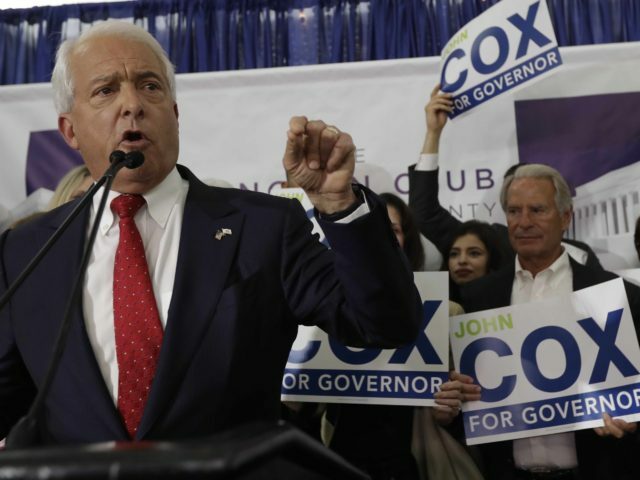 Republican gubernatorial candidate John Cox on Friday visited a north Fresno branch of the Department of Motor Vehicles, where he handed out bottled water and chatted with customers as they waited in line. “Help is on the way,” Cox told several people after hearing their stories. Over the past few weeks, the candidate has toured DMV locations in San Diego, Long Beach and Sacramento as he seeks to reach voters caught up in what he characterized as “a shining example of what happens in Sacramento” — likening long wait times and technical errors at the DMV to bureaucracy hangups in Sacramento. Better late than never. It’s an important first step that I have been shining light on for months. The Sacramento political class has done a shameful job addressing these real problems plaguing millions of Californians. Every hour spent in a DMV line is an hour away from someone’s job or family. It’s a flashpoint for the frustration Californians face every time they have to renew their license or pay a higher vehicle license fee. But it shouldn’t stop here. “This needs to be a real substantive audit and we ought to look at CalTrans next. Caltrans, the state transportation agency, is under investigation after contractors were found to be campaigning during work hours against a referendum that would repeal the 12-cent-per-gallon gasoline tax hike that Gov. Brown passed last year. Cox faces Democrat Lieutenant Governor Gavin Newsom in the general election in November.